A what? That’s not yellow I hear you say. 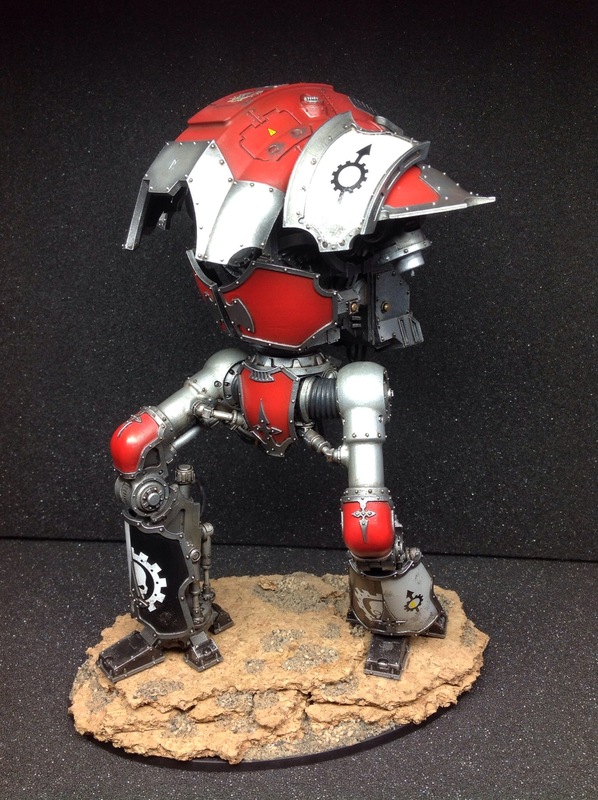 You’d be right of course, but I needed a break from my Fists, so I decided to dabble in some Mechanicum allies. So, this kit is a bit special. 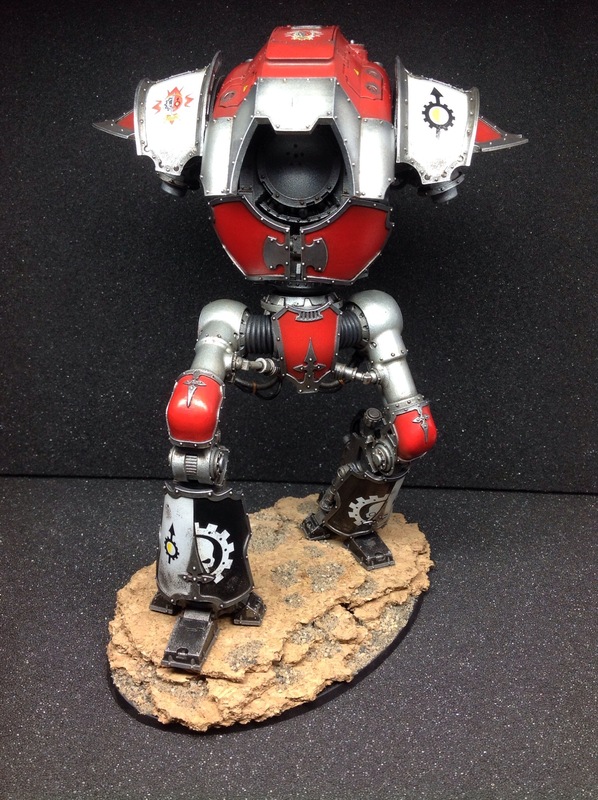 It’s also my first Knight model, and as such I wanted to spend a bit more time with it. 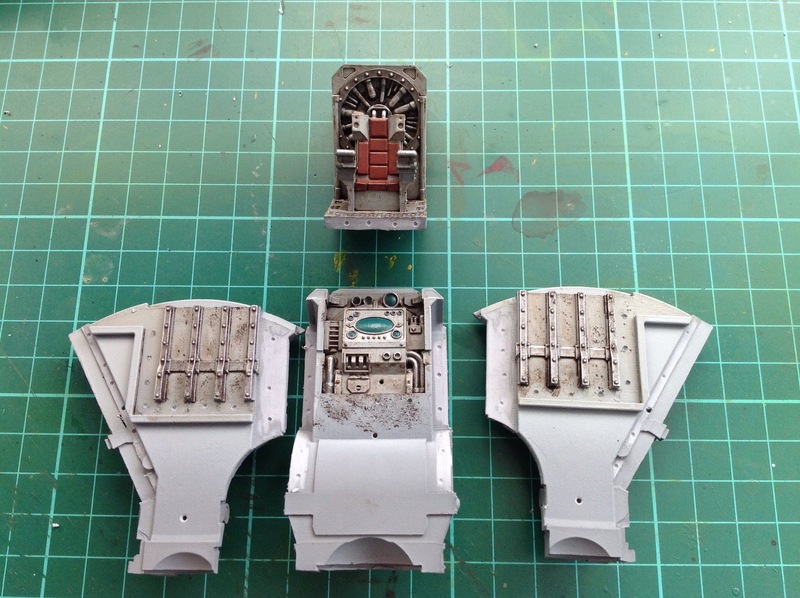 After the usual soak and scrub, I began assembling the legs. On their own, they look wrong, someone even said they looked Necron. 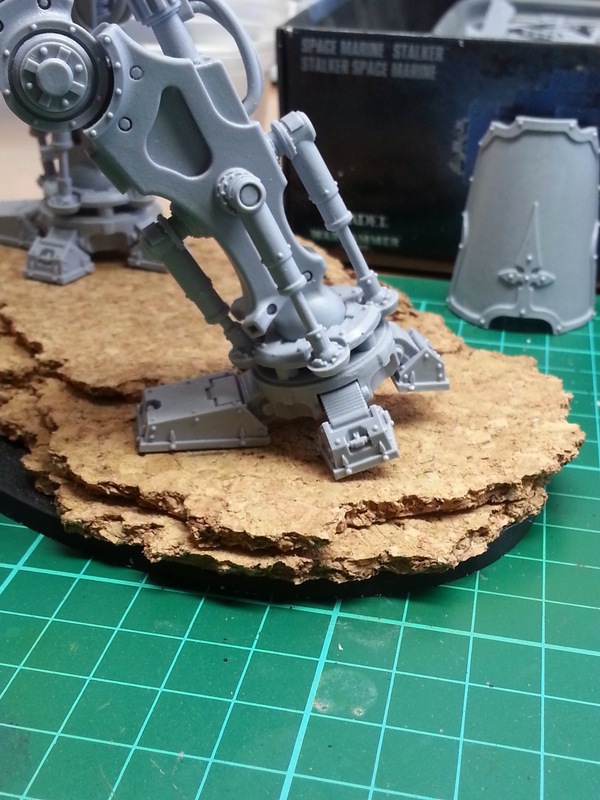 The feet/ankle assembly is pretty cool. It looks complicated, but it’s actually pretty straight forward. A ring sits atop the foot into which the pistons click into place. 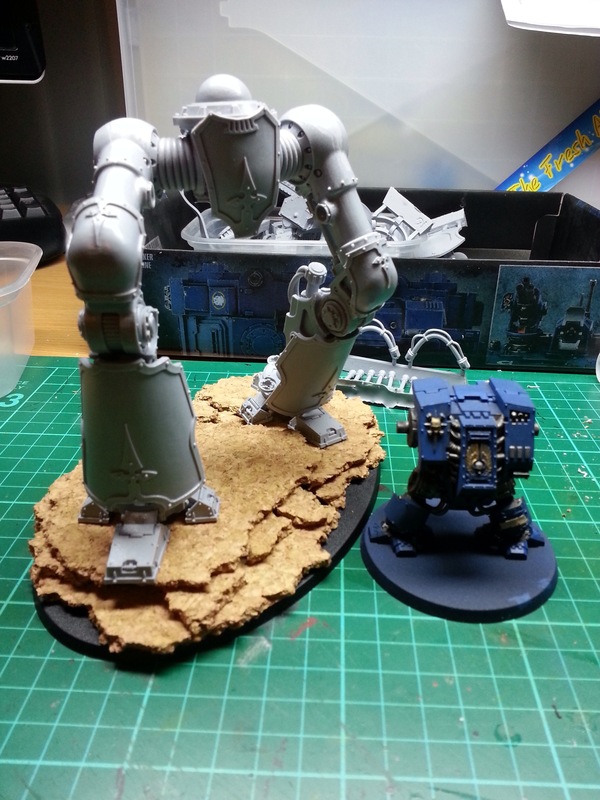 These can be trimmed to length to suit the models pose. 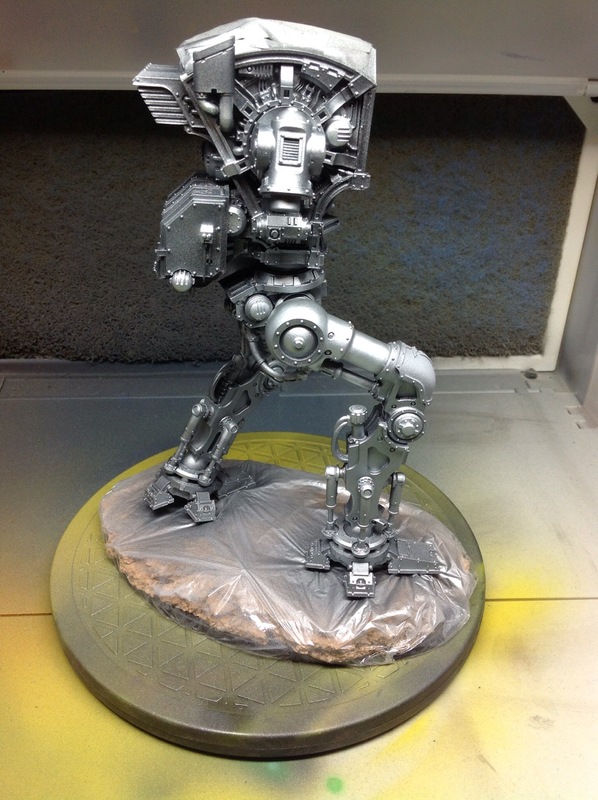 A word of warning here, dry fit the lower leg armour when you pose the legs to ensure they can be fitted. I got lucky as I didn’t, and they just fit! 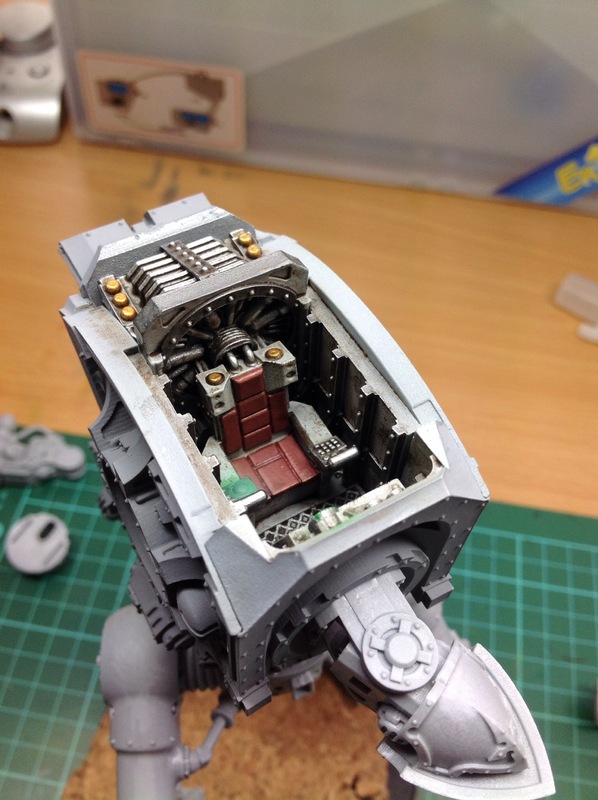 It was at this point that I read Dave Taylor’s excellent blog at davetaylorminiatures.blogspot.co.uk and it made me decide to paint the cockpit interior. Normally it’s something I wouldn’t do, but hey, it’s full of great detail so it would be a shame not to. Once the interior was finished, I continued with the build. 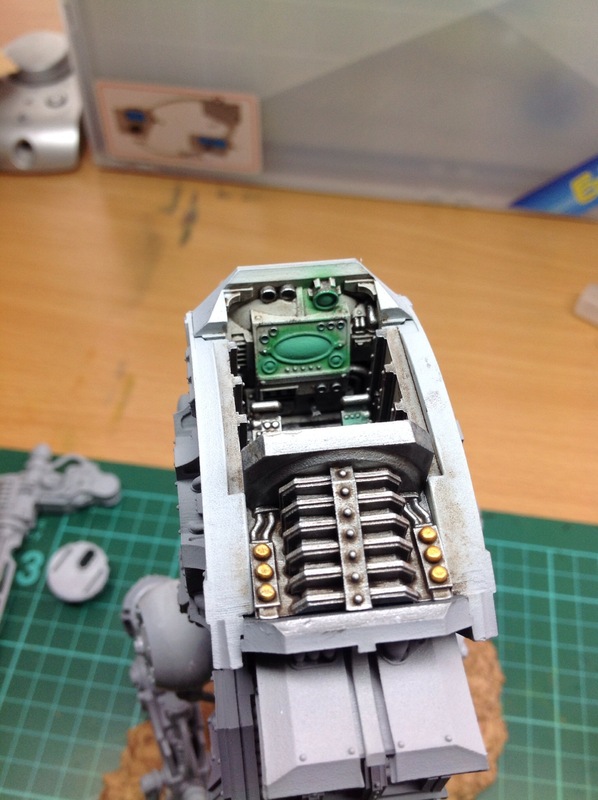 All of the armour plates were left off for painting, along with the arms to help get to those hard to reach areas. Vallejo Model Air paints were used throughout. The metals as described in my previous posts, and the reds were from the new Vallejo Game Air range. 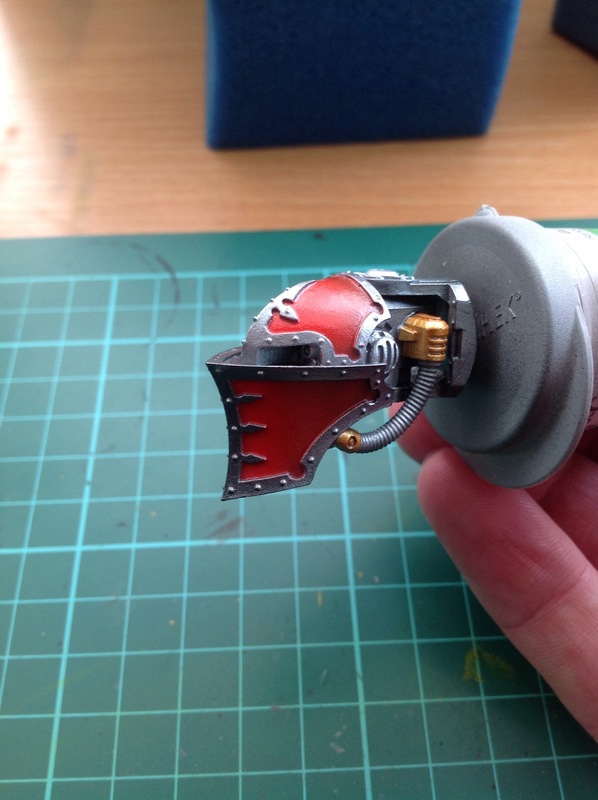 It still looked ridiculous without the armour plates, but looks so much better with them! The head is a really beautiful piece of sculpting, and along with the big armoured plates give the model real presence. 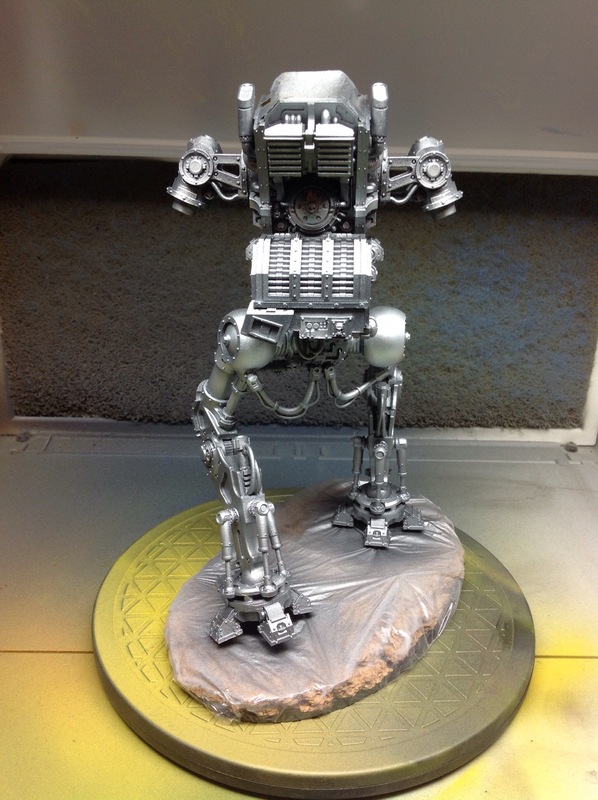 The base was finished off the same as the ones for my Fists, with the exception of using AK Interactive weathering powders. First time I’ve used these, and they were great. 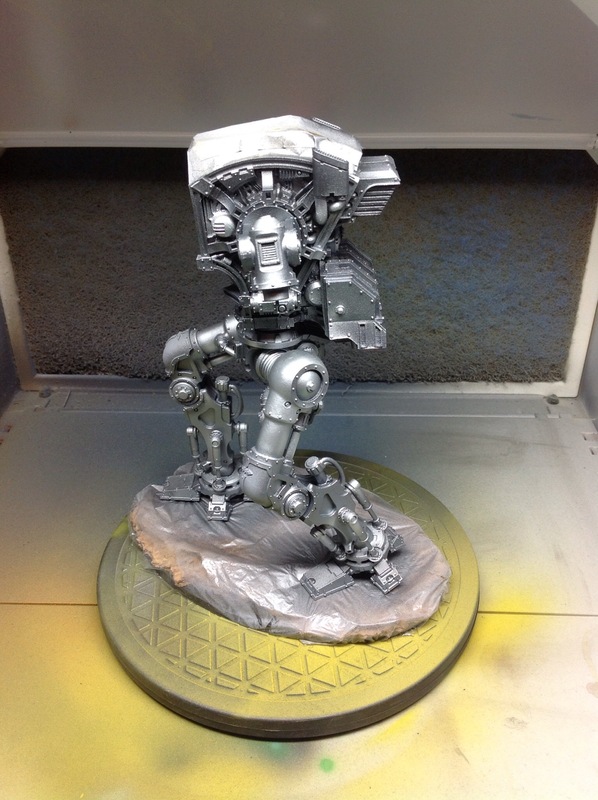 I applied the powders to the feet and lower leg areas of the Knight too. 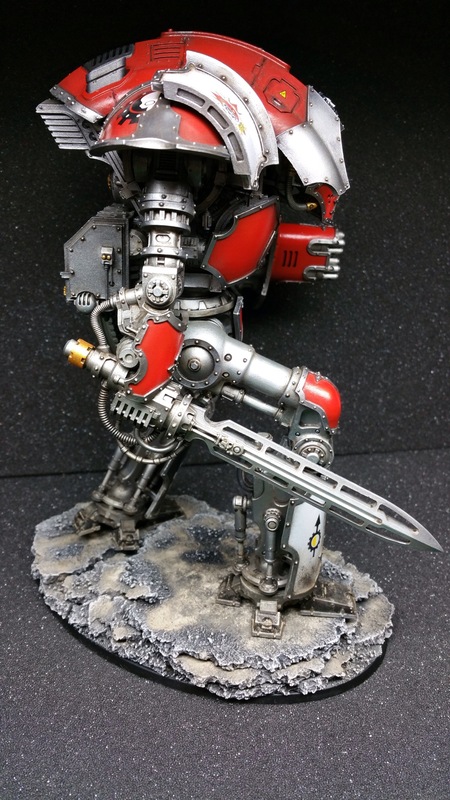 Previous Previous post: Terminators ready! Next Next post: It’s been a long time, but I’m back! How did this thing go together? Did it require a fine touch with warpage corrections…? Hi. I read your own post and it seems you had a bad time with your kit. 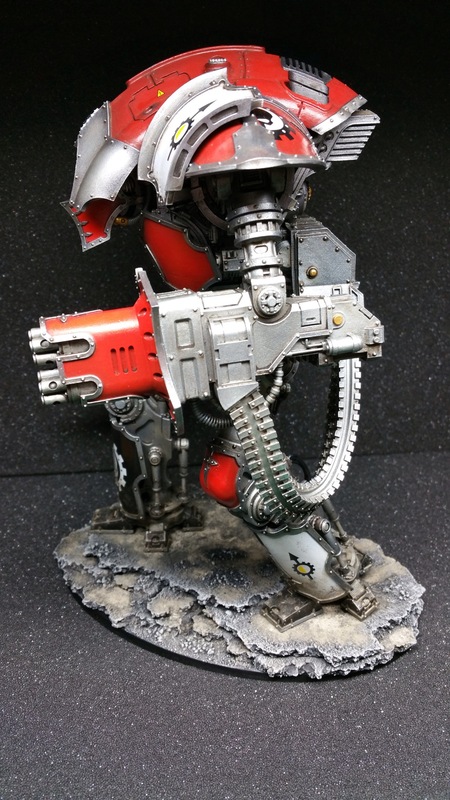 The Cerastus kit went together really well with none of the components being warped. 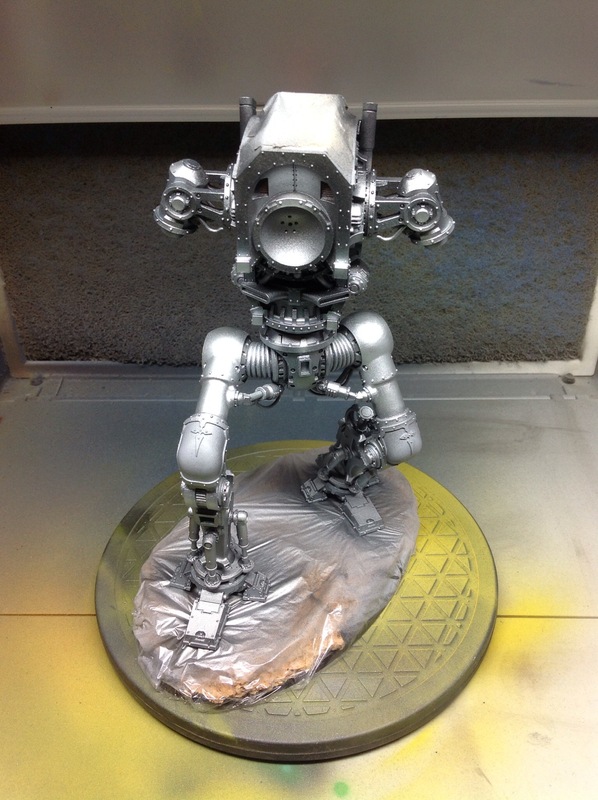 The legs need patience to get right, but other than that, it went fine. Good to hear! 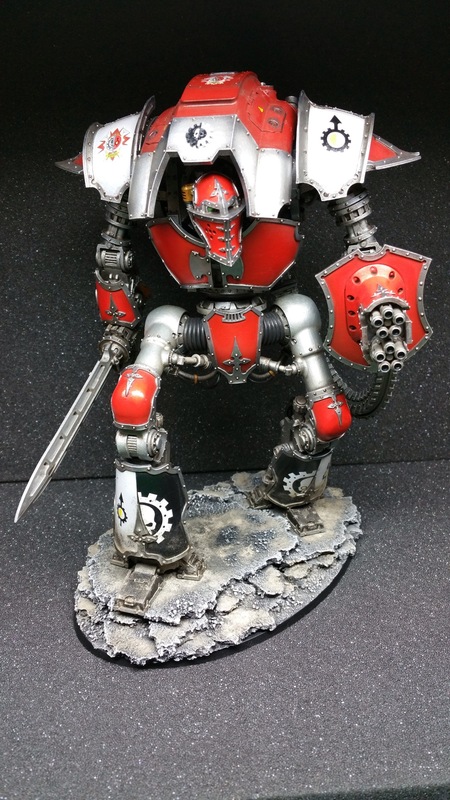 Are there any components that are plastic from the GW Knight kit? Or is it 100% resin? Anything require pinning? 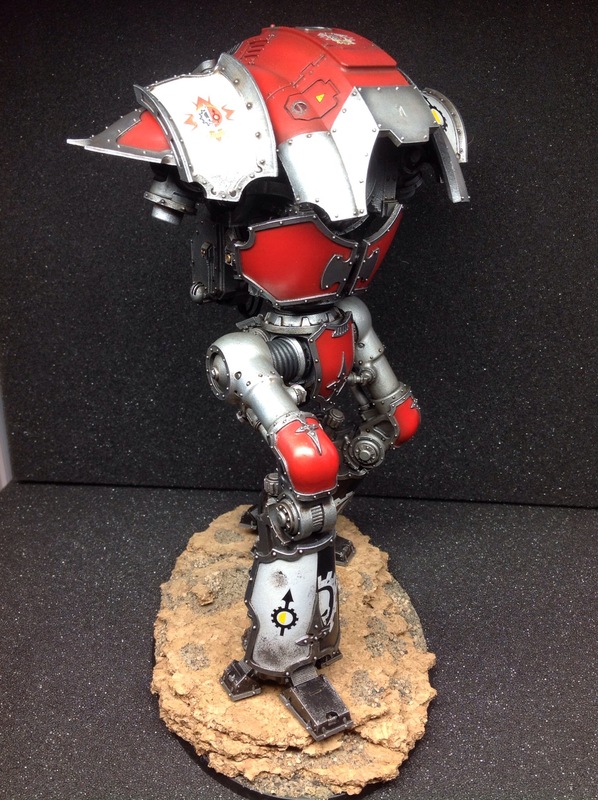 The Cerastus kits are 100% resin. 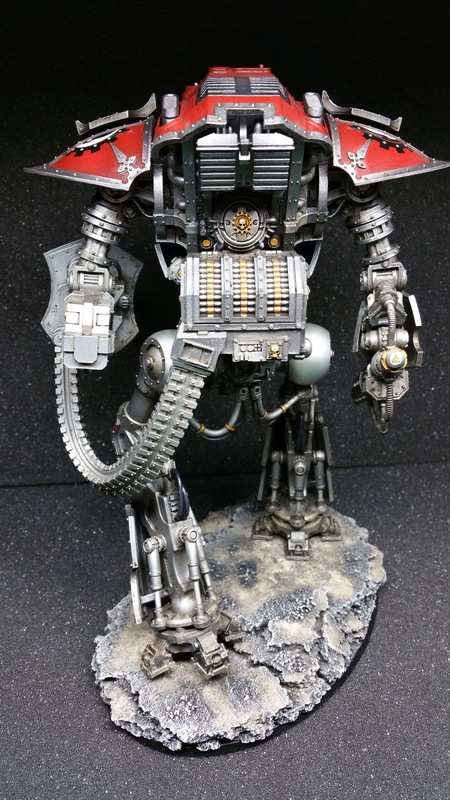 I pinned the toes/feet to the lower legs for strength as it is quite a heavy piece, the arms/shoulders for strength and ease of painting & also for piece of mind.